The school district needs $1.5 million to tackle the backlog of thousands of hours in speech therapy owed to special education students, superintendent Eileen Shafer said last week. Shafer said the district hired 20 speech therapists, bringing the total to 48 to ensure students receive services this year. “Now we have the speech therapists, but we need a million and half dollars to run a Saturday or an afterschool program, or both, to be able to provide these services to the children we owe,” said Shafer on Wednesday night. The district owed 18,800 hours of speech services to 1,960 students, according to data made public in February. 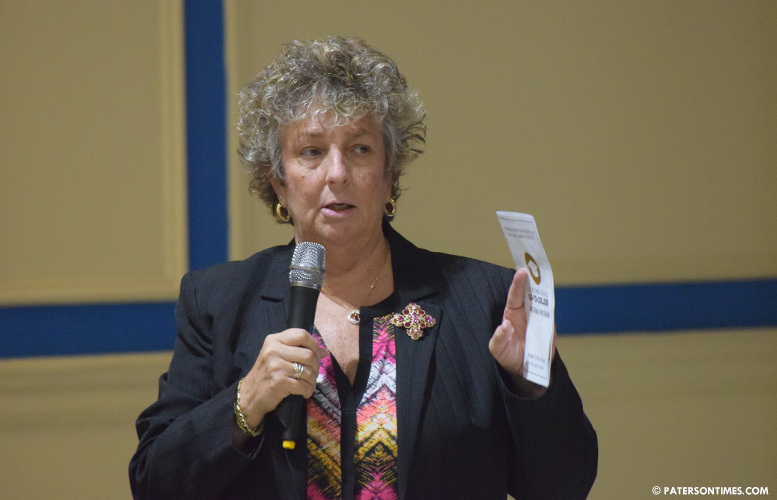 Shafer promised to “make whole” special education students, who went without mandated services in the 2016-17 school year, when she became superintendent at the retirement of her predecessor Donnie Evans. Shafer started a Saturday and summer program last school year to get the students caught up. She still hasn’t made them whole. 2,453 hours of speech therapy was provided via the Saturday and summer speech programs, according to information the district provided on Oct. 18, 2018. The district’s slow progress and failure to address the backlog shocked the Education Law Center which filed a fresh complaint with the New Jersey Department of Education, calling for a new investigation into the district’s special education program in late August. Shafer said the district is two years behind. Last school year, the district had difficulty recruiting speech therapists. Some wanted exorbitant amount of money and others declined to take assignments in rougher parts of the city for safety reasons. Cheryl Coy, chief special education officer at the Paterson Public Schools, said students are being provided owed sessions. “We are trying not to exhaust students out of the classroom,” said Coy. She is proposing the district re-institute a Saturday program and a summer program. It appears the district ended the Saturday program at the end of the last school year. Shafer said she is looking to identify funds to run a Saturday program from Jan. through Jun. 2019. “It’s putting a little bit of a dent of what we owe children, but not enough to make a significant impact,” said Shafer. Shafer responded to an inquiry from longtime school board member Jonathan Hodges. “Is there an impact on current students? Are they falling behind because of this situation?” asked Hodges. “Current students, right now, that have speech in their IEP, are getting the services,” replied Shafer.